Please join UUCP for today’s service at 10:30 a.m. led by Rev. Paul Dodenhoff. 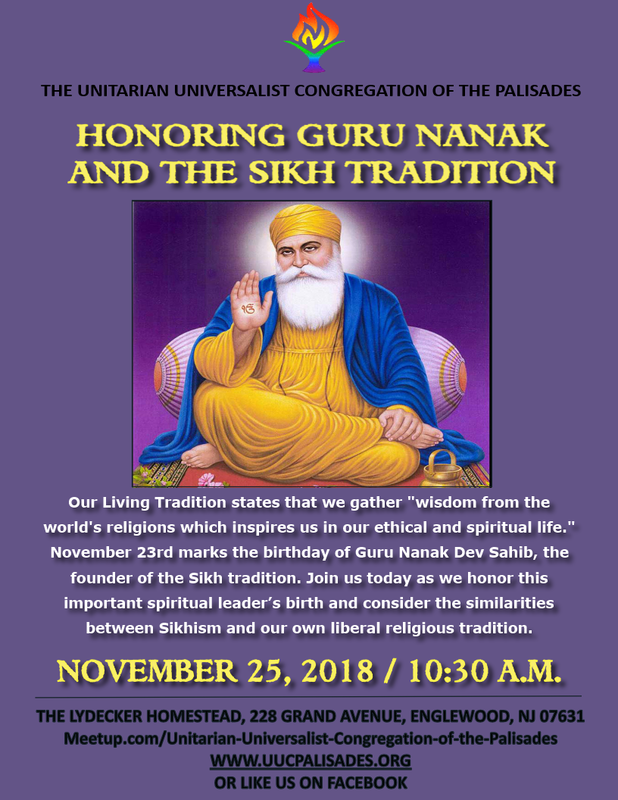 Our Living Tradition states that we gather “wisdom from the world’s religions which inspires us in our ethical and spiritual life.” November 23rd marks the birthday of Guru Nanak Dev Sahib, the founder of the Sikh tradition. 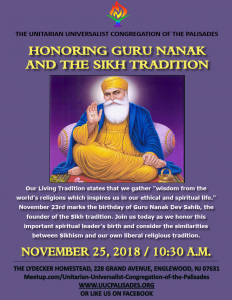 Join us today as we honor this important spiritual leader’s birth and consider the similarities between Sikhism and our own liberal religious tradition.